Jesse received his Bachelor's Degree in Sociology from Bethany Lutheran College in Mankato, MN. He then obtained a Master's Degree in Sociology at Minnesota State University - Mankato. 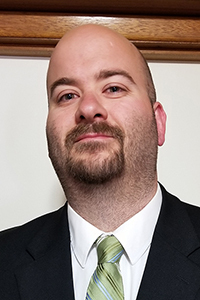 While pursuing his Master's Degree in Sociology, he also pursued and obtained a Master's of Divinity from Bethany Lutheran Theological Seminary. Jesse DeDeyne's Full Curriculum Vitae.